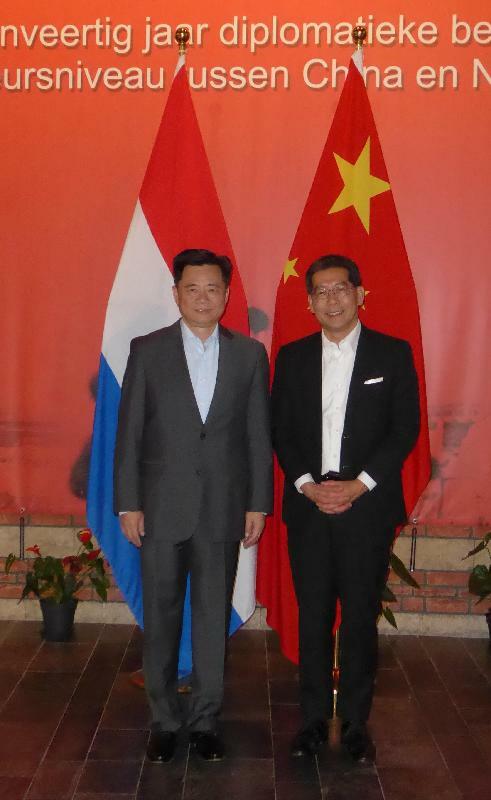 Hong Kong has always played an important role as a gateway for Dutch companies interested in the Mainland market, and is well prepared to work with global partners, including Dutch companies, to venture into the vast markets covered by the Belt and Road Initiative, said the Secretary for Commerce and Economic Development, Mr Gregory So, in Schiphol, the Netherlands today (June 6, Schiphol time). 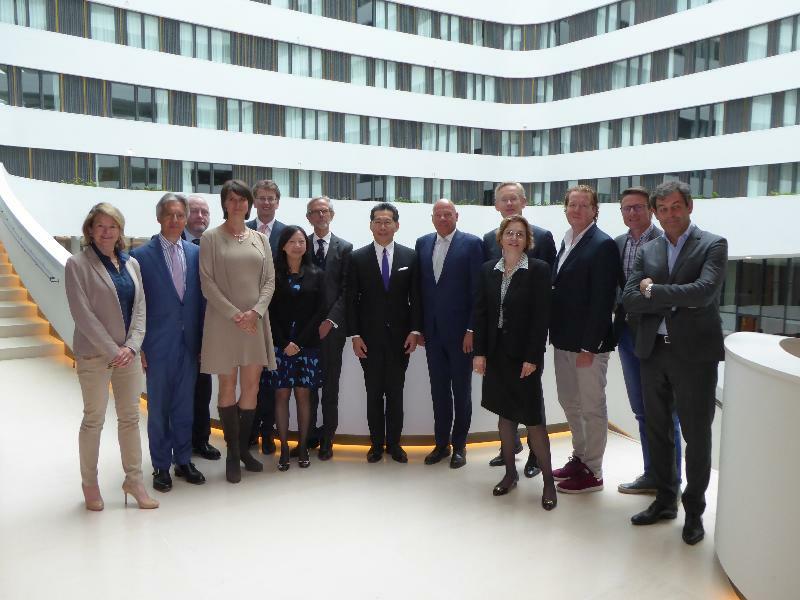 Mr So began his duty visit to the Netherlands today by speaking at a lunch meeting with Dutch business leaders in Schiphol, at which he noted that Hong Kong and the Netherlands have strong and long-established ties. "The Netherlands is the third largest trading partner of Hong Kong among all European Union member states. The bilateral merchandise trade between Hong Kong and the Netherlands has enjoyed promising annual growth over the past five years. In 2016, the bilateral merchandise trade between the two places was valued at more than 9.2 billion euros. I am happy to note that the volume continued to expand in the first quarter of 2017, as compared with the same quarter of 2016," Mr So said. 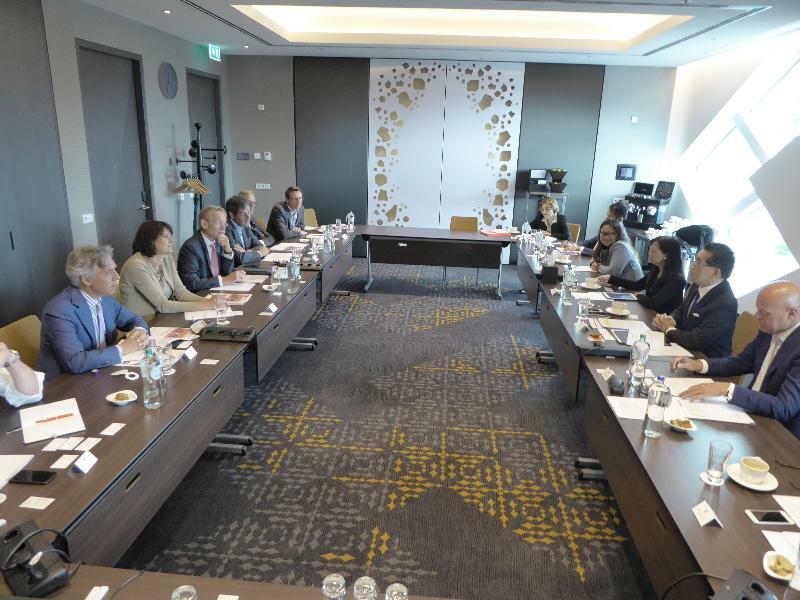 Mr So added that Hong Kong, as a key link and "super-connector" for the Belt and Road Initiative, is also ready to work with and assist Dutch companies in making the best of these golden opportunities. 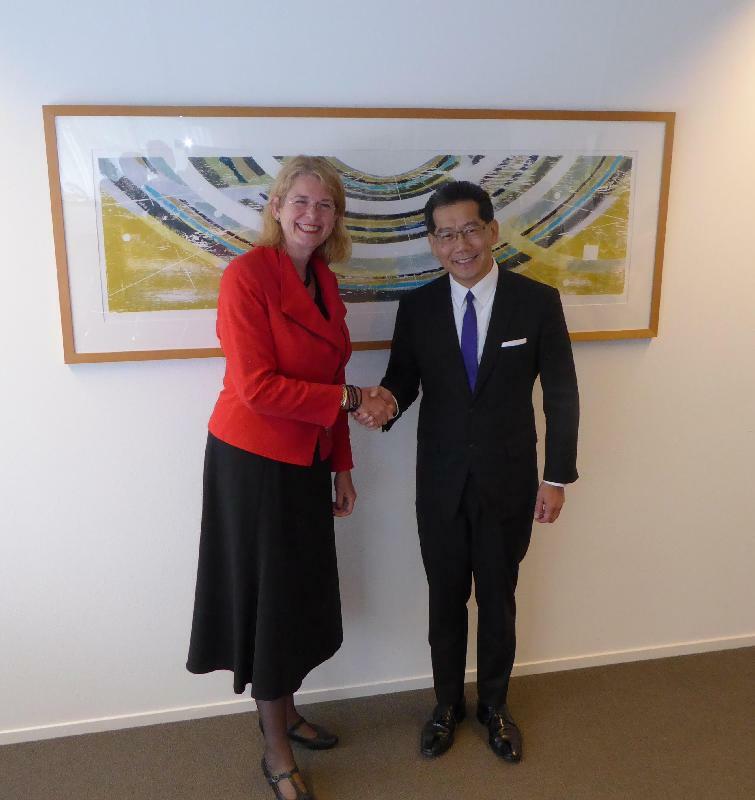 After the lunch meeting Mr So moved on to The Hague to call on the Mayor of The Hague, Ms Pauline Krikke, and the Chinese Ambassador to the Netherlands, Mr Wu Ken. Mr So will proceed to Paris, France tomorrow (June 7, Paris time) to attend a ministerial dinner hosted by Denmark, the Chair of the 2017 Organisation for Economic Co-operation and Development (OECD) Ministerial Council Meeting (MCM), and the OECD MCM's Trade and Investment Session, which is entitled "International Trade and Investment for the Benefit of All", on June 8.